Theron D. Stacy, 84, of DeKalb Junction, died on June 16, 2018, at Maplewood Campus. There will be no services. Burial will be in Union Cemetery. Theron is survived by his daughter Penny Stacy of Canton, 1 niece and 2 nephews. He was born on January 2, 1934, in Gouverneur, New York, the son of the late Don L. and Dorothy Bush Stacy. He graduated from DeKalb High School, in 1951, he married Margaret Brown on August 18, 1958 at the Gouverneur Methodist Church, and she died on March 26, 1994. Theron worked on his family farm all his life. He was a lifelong member of the International Order Odd Fellows in Ogdensburg. He was a sports enthusiast hockey, baseball and football in particular. In lieu of flowers contributions can be made to the American Cancer Society. 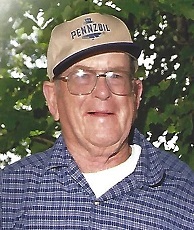 Harold M. Lowery, 80, DeKalb Junction, passed away at home surrounded by his family. Calling hours will be Friday, June 8, 2018, 2-4 and 6-8 PM at the Allen-Denesha Funeral Home, DeKalb Junction. A funeral mass will be on Saturday, June 9, 2018, 1:30 PM at St. Mary’s Church, Canton, Father Bryan Stitt officiating. Burial will follow at Hermon Cemetery, Pastor Robert La Clair officiating. Harold was born April 14, 1938, to Catherine E. (McHugh) and Hernden Lowery. He married Carol Ann Lowery October 20, 1962, at St. Henry’s Church in DeKalb with Father Whittaker officiating. He is survived by wife of 56 years, Carol A., son Michael H. (Ellen) Lowery, Pulaski, daughter Lisa M. (Bob La Clair) Perry, DeKalb Junction; grandchildren, Catherine (Miguel) Perry, Syracuse, Ian (Kaylee) Lowery, Richlands, NC, Max Lowery, Pulaski, and Patrick (Matasha) Perry, DeKalb Junction; great granddaughter, Alaina Lowery; sisters, Kathleen Goria, Nyack, NY, and Ursula Coffey, Russell, NY; many beloved nieces and nephews; friends and neighbors; and his faithful companion, Bella. 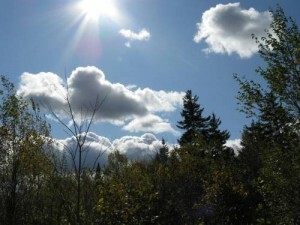 Harold is predeceased by sisters, Mary Eleanor Rowell, Eileen Derushia, Bernice Dashnaw, and Esther Bice; brothers Robert Hand, John Hand, and Earl Patrick Hand; special Uncle P. Joseph McHugh; and great granddaughter Olivia Ann Lowery. Harold attended Hermon High School and graduated from Anchorage High School while in Alaska. Harold has been a lifelong farmer on the Orebed Road in DeKalb Junction, receiving the Century Farm distinction in 2016, which is awarded to farms that have been in continuous operation by the same family for over 100 years. He also served in the Alaska Air National Guard and worked at Kinney Drugs, Inc., Long Year Drilling at the mines, trucked cattle to local cattle auctions, as well as a variety of other work activities to provide for his family. He (as a teenager) and his family took over the operation of the farm upon his father’s death. Haroldy Acres has been a source of pride and enjoyment for the entire family, passing on the legacy of hard work, determination, and character (with a few shenanigans mixed in!) He will always be remembered for a wink and a smile, his quick wit, great advice, and a good joke. Harold always had draft and riding horses including his favorite mare Dolly and her four siblings who were born, raised, and worked on the farm. You could always find him lending a hand to anyone in need, placing others before himself, and could unequivocally be counted on for standing up for what he believed to be right – which you never had to question, especially when he spun his hat around! Harold served on the DeKalb Town Board for 23 years, chairman of the St. Lawrence County Democratic Committee for the town of DeKalb, Gouverneur/SLC Fair Board, draft horse superintendent at Gouverneur fair, member of the St. Lawrence Valley Draft Horse Club, North Country Arabian Horse Association, and he and his family participated in showing animals and exhibits at the Gouverneur Fair for generations. You could also find him giving rides for various organizations with his beloved draft horses. Harold enjoyed camping, gardening, animals of all kinds, and helping others. Harold will be sorely missed and lovingly remembered by his wife, children, family and friends. In lieu of flowers contributions can be made to the American Cancer Society or Hospice and Palliative Care of St. Lawrence Valley. Glen E. Simmons, 73, of DePeyster, died on June 2, 2018, at Canton Potsdam Hospital. There will be calling hours on Thursday, June 7, 2018, 3 – 6 PM at the funeral home. Glen is survived by his life partner Diane Vieta, a son, Craig and his wife Mandy Simmons of Winthrop, a brother, Earl and his wife Helen Simmons of Macomb, sisters, Bonnie Turnbull of Depeyster, Marsha and her husband Mike Streeter of Canton, grandchildren, Levi and Connor Simmons, Lauren Sharpe and her life partner Payton Montroy, Jolee Johnson, great grandson, Jedidiah Montroy, several nieces and nephews. 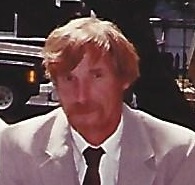 He was predeceased by his daughter Cathy Sharpe, a grandson Garrett Scott Sharpe and his brother Paul Simmons. Glen was born on November 20, 1944, in Ogdensburg, New York, the son of the late Leon “Joe” and Rita Beamish Simmons. He graduated from Heuvelton Central School, he was in the Army from 1965-1967 and earned the National Defense Service Medal, Vietnam Service Medal, and Vietnam Campaign Medal. He married Judith Lunderman, they were blessed with two children, divorced, but remained friends. Glen was a self-employed carpenter, he also worked for St. Joe’s Mine as a shift supervisor. He loved NASCAR, old cars, woodworking, and wood crafts. He was a member of the Elks and American Legion in Gouverneur. In lieu of flowers contributions can be made to the Disabled American Veterans or the American Cancer Society.